Have you heard of artist trading blocks? Similar to artist trading cards, these 3D crafts allow you to express your creativity on a smaller scale to create beautiful DIY home decor! 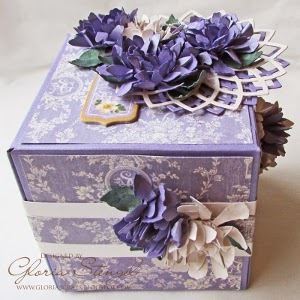 The Lavender Flowers and Flourishes Artist Trading Block is a fantastic paper craft idea for the paper artist. Use beautiful paper that die cuts like a dream. The flowers adorning the block are eye catching and impressive to behold. For a fun small project that will showcase your creativity, explore this beautiful tutorial. 3. 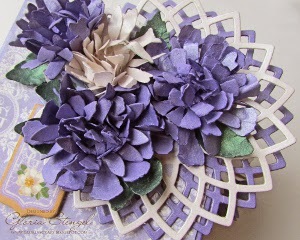 To create the flowers, I cut various flower shapes from Elan Metallics Candied Violet and Petallics Ice cardstock. I also cut leaves from Elan Metallics Moss cardstock. I used a variety of die cut templates to cut the flowers (see the supply list). 6. 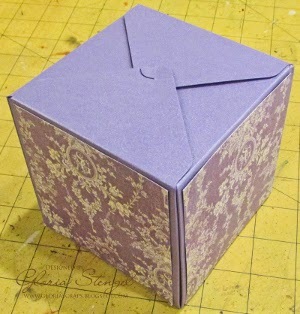 Using foam tape, attach the doilies to the top of the box as shown. 7. After the paper flowers and leaves are dry, gently unfold each item. Ink the flowers and leaves with distress ink as desired, and then shape them with a stylus and a foam mat or with your fingers. 8. 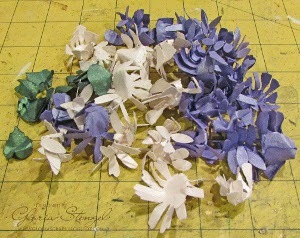 Glue each layer together to form flowers. My flowers resemble carnations or dahlias. 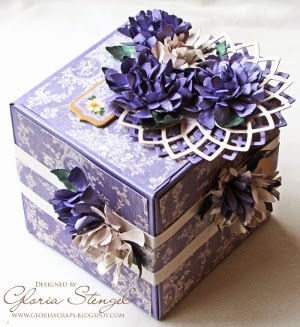 Arrange the flowers and leaves onto the top of the box and glue in place. 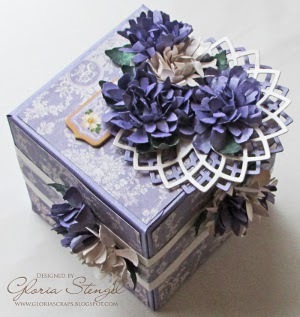 You may choose to add a chipboard tag or other element to the box, as desired. 9. 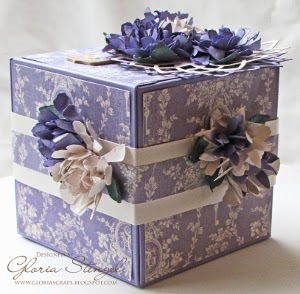 Cut several 1 1/2-inch wide strips of Petallics Ice cardstock and wrap them around the box to form a "belly band." 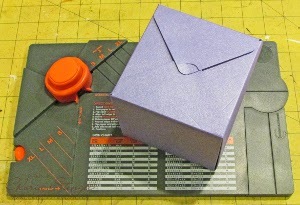 Trim excess cardstock and glue the seams securely. 10. Cut several 3/4-inch wide strips of printed paper and wrap them around the cardstock band as shown. 11. 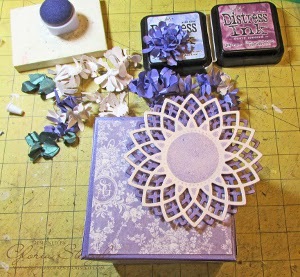 Add more flowers and leaves to the front and sides of the box, as desired. (I used flowers to hide the seam on the side of the box.) The Elan Metallics and Petallics cardstock is very shimmery, adding an elegant touch to the project. 12. Place your box on your desk or table and enjoy!